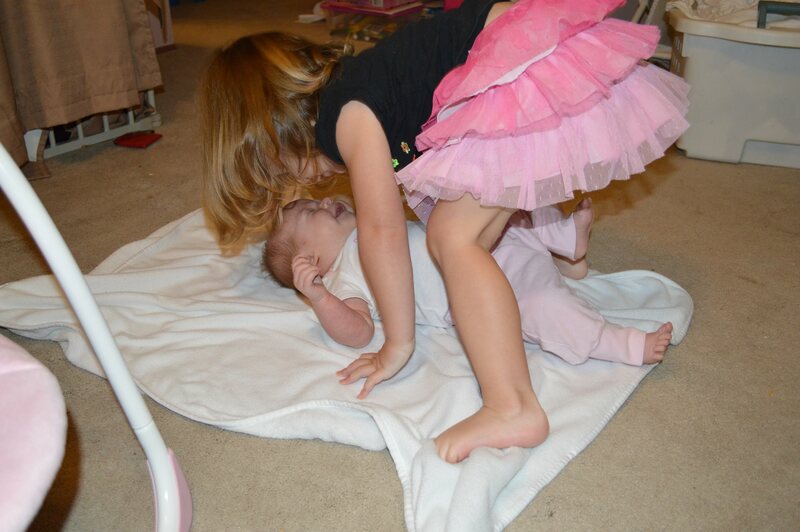 In the long ago, a 2 year and 1 quarter old Jack Jr welcomed his baby sister Kaylee into the world. I use the term welcome very (very very) loosely. He took one look at her, judged her to be about as interesting as a piece of furniture, and mostly ignored her existence. Fast forward a couple years and now Jack and Kaylee are adorable together (often enough anyway). 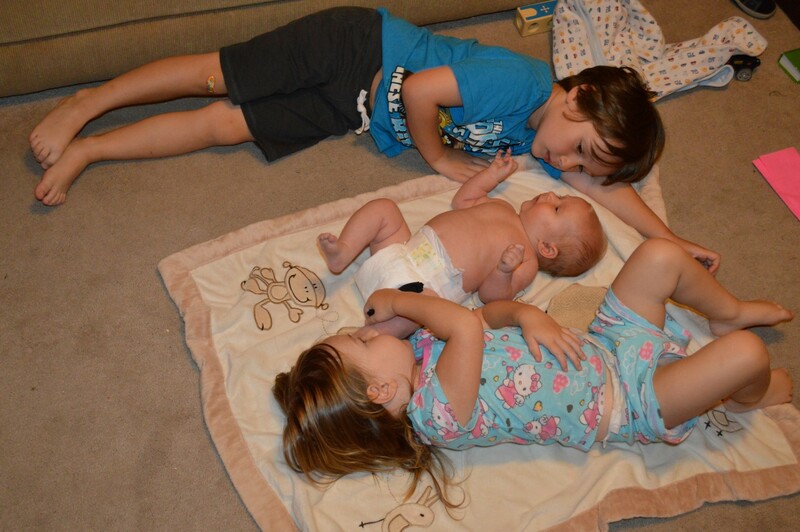 The big question looming on the lead up to baby #3 was, how will they interact with the baby? Would she be ignored like an old broken toy, would she be a mild curiosity for a few days, or worse yet, will they want to snuff her out for stealing our already split attention? Yeah. Well. None of that. My kids are too young to know a Beiber from a beaver but imagine tween girls at a Beiber concert and you are in the neighborhood of our new daughter’s status in this house. From the moment she was born and still going strong 7 weeks later, she has become the central character in their lives. If I happen to be holding Sarah and they become aware that she is awake, they will rush around the house looking for anything to stand on so then can get high enough to see Sarah. They also happen to be fantastic spitup alarms, being both efficient and loud. That one is kind of handy. Their zeal is adorable and their hearts noble and while their starstruck behavior can be…frustrating, it is also unbelievably sweet. 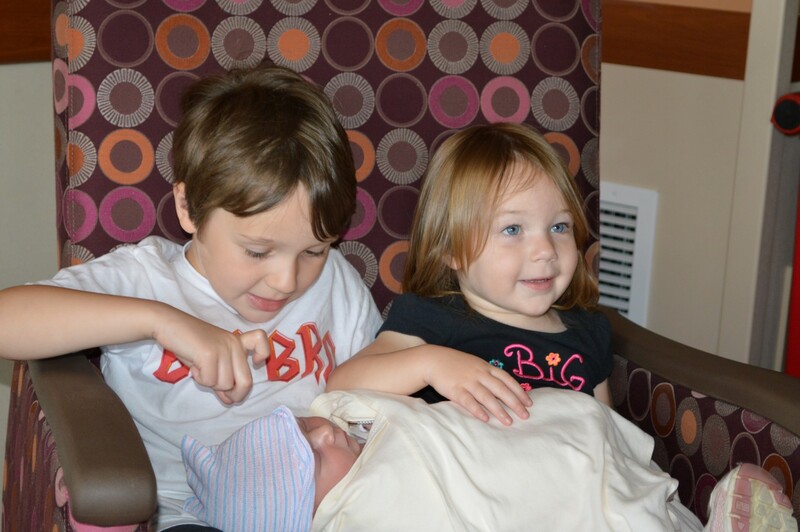 How did your older kids react when a new baby arrived?